Home » Uncategorized » Here comes a Storm of pictures! Elizabeth Gorski March 8, 2008 March 8, 2008 Comments Off on Here comes a Storm of pictures! Hey, I told you I was going stir crazy! 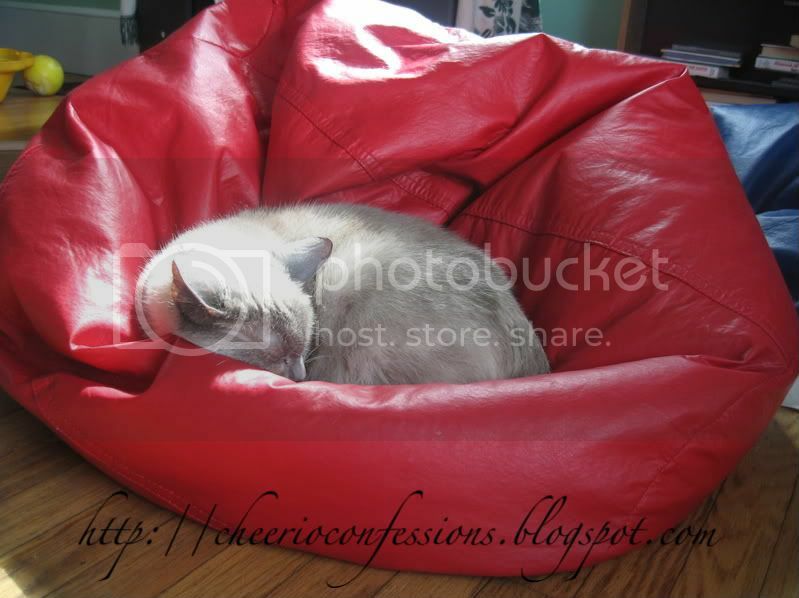 Storm sleeping peacefully in the beanbag chair. I had to take her picture because she so rarely comes out around us during the day.